Together with Adi Duchins, Hadas Wiseman of the University of Haifa examined the impact of learning their grandparents’ experiences of the Holocaust on the third generation. Many Holocaust memoirs have been written in the last number of years, partly out of a sense that time is running out for survivors to share their memories, and partly due to a shift in attitudes to the Holocaust. As survivors increasingly share their stories and the third generation from the Holocaust grows up, the question arises of how these experiences affect the grandchildren of Holocaust survivors. Professor Tsafrir Goldberg, PhD, teaches From Silence to Omnipresence: Holocaust in the Curriculum and Beyond. In his most recent academic article, Professor Tsafrir Goldberg addresses a ground-breaking question in the realm of Holocaust education, asking whether the Holocaust should still be understood to be an episode of ‘difficult history’ in Israel today? Episodes of ‘difficult history’ are those which challenge self-identity and in some way threaten the student’s self-esteem. From a psychoanalytical perspective, historic topics covering collective trauma constitute ‘difficult history’. Experiencing historical testimony can bring a sense of ‘return of suffering’ to the student, which needs to be processed in order to restore the learner’s sense of self-identity as part of the victimized group. 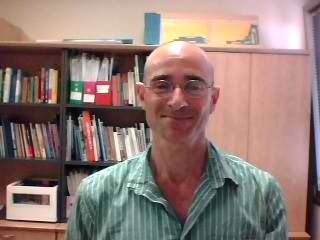 Professor Arkadi Zelster teaches the “Holocaust in the former USSR”- here’s a link to the syllabus. In a recent article in the academic journal “Eastern European Jewish Affairs”, Professor Arkadi Zeltser of the University of Haifa examines suspicion of Jews by non-Jewish Soviets during the latter phase of the Second World War, in the years 1941-45. In this time period, many non-Jews asked the question “Where are the Jews at the Front?”, with particular unintended consequences for Soviet Jewish identity.